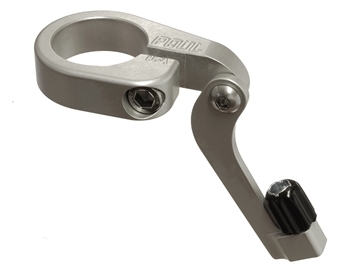 The Funky Monkey Front is a simple hanging cable stop for front centerpull and cantilever brakes. Rear version of Funky Monkey can be mounted on a seatpost or on the seat tube. It has a hinged arm to self-align for the proper cable angle. 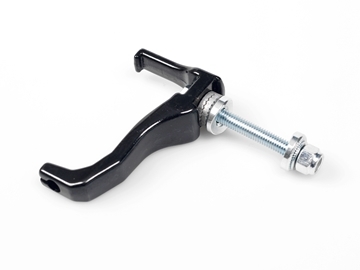 It also have a barrel adjuster to make brake cable adjustments quick and painless. 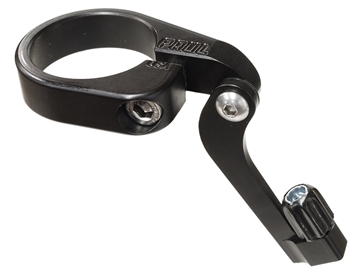 Classic crescent straddle cable carrier for cantilever and center pull brakes. 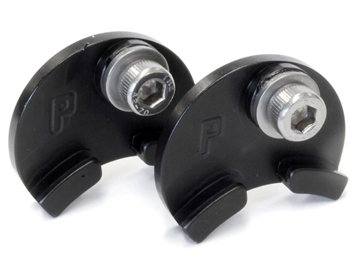 When Paul Components introduced Moon Unit in the nineties, it was one of the first high quality aftermarket cable carriers. 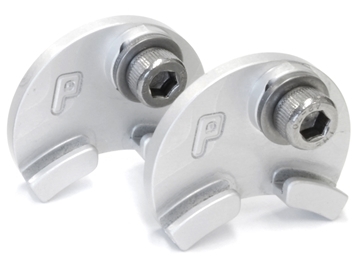 Front brake cable hanger that allows the fitting of cantilever brakes without a normal hanger, where there is no space. 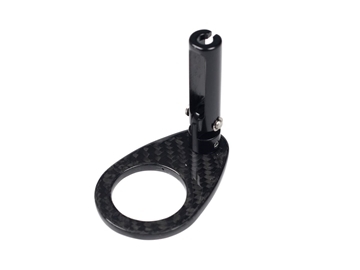 Cable hanger with a Carbon mount for noise reduction – as it absorbs the vibrations. 1 1/8" diameter but can also be mounted on 1" heads steerer.